This project has been on the to do list for a couple of weeks. 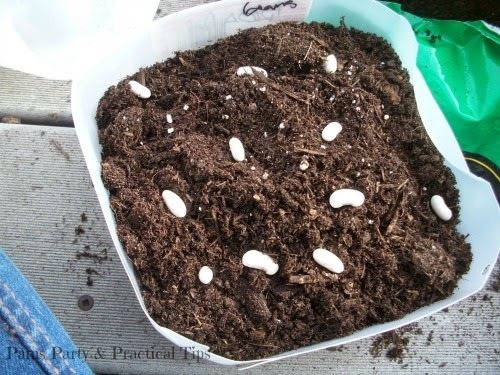 About a month ago, I saw a way to start seedlings in the winter using plastic milk jugs. 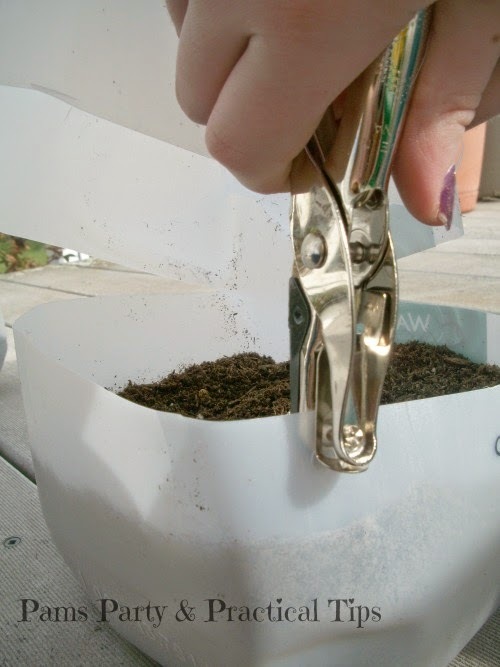 While I realize it is no longer winter, I thought this would be a good way to start spring seedlings. I live in Michigan where it has been 85 degrees in March, and then 30 degrees in April. (I know, crazy right?!) Even though we are starting late, it should be okay. 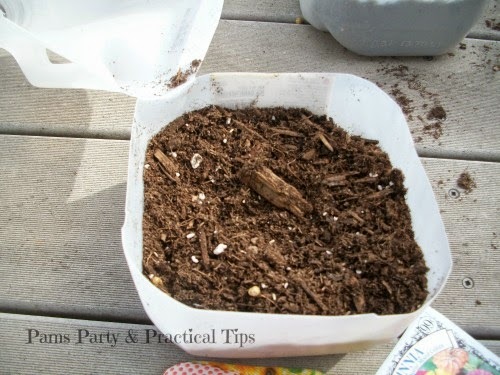 Most seed packages say to start 6-8 weeks before planting in the ground. We have threat of frost through most of May, so the safest time for planting where we live is around Memorial Day. 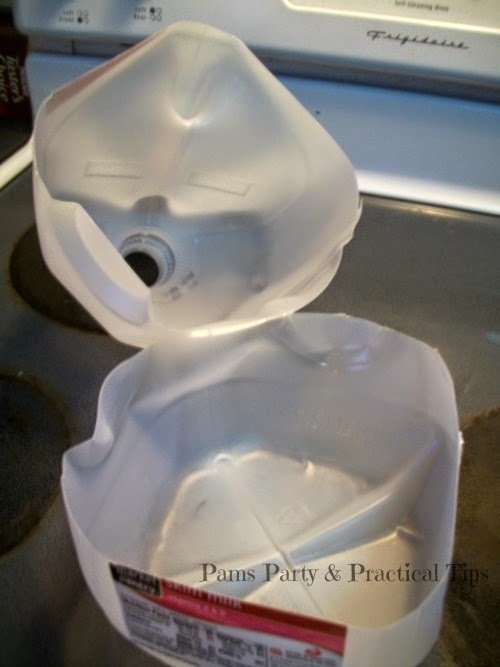 Using sharp scissors or an box cutter cut the milk jug about 2/3 down, leaving a small piece connected. 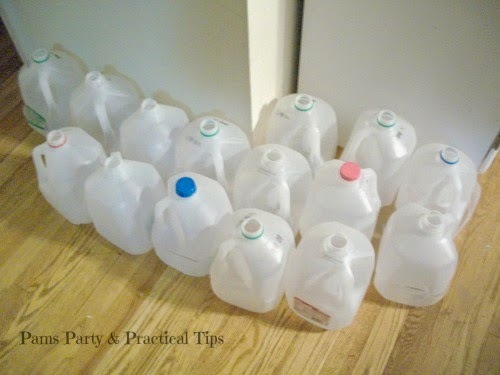 Since most milk jugs are made from recycled plastic, they were not difficult to cut. I was able to easily cut it with a pair of scissors. You will also need to add some drainage holes. 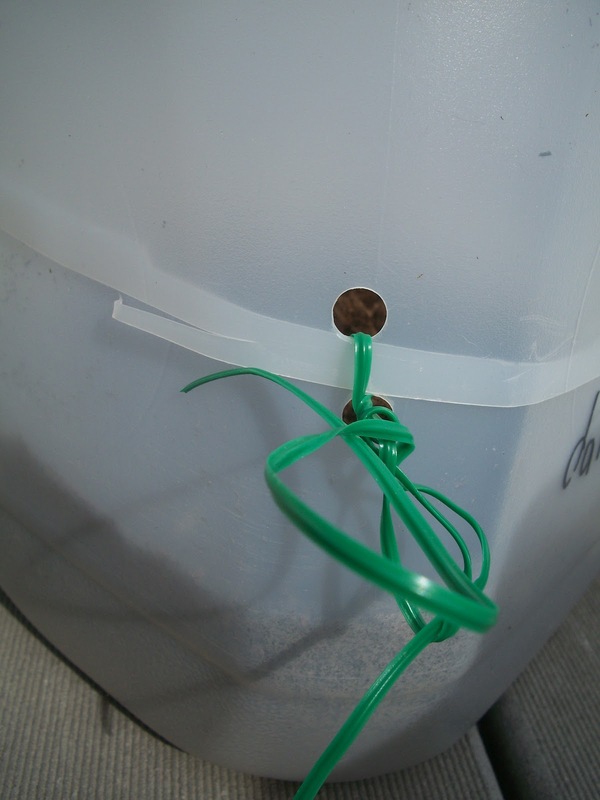 One way you can do this is to cut several small slits on the bottom of the jug. We used a push pin and added about 20 pin holes on the bottom of ours. I am hoping they are big enough. 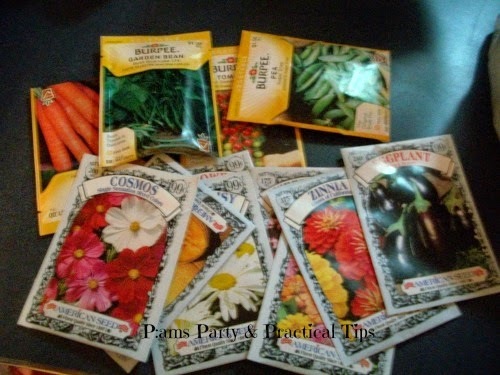 For our experiment we bought some various seed packets. If this doesn't work, we are only out of a few dollars. Our Dollar Tree had a wide range of flower seeds 4 for $1. I did spend a little bit more on the vegetable seeds at our local Meijer. We went outside for the next part. 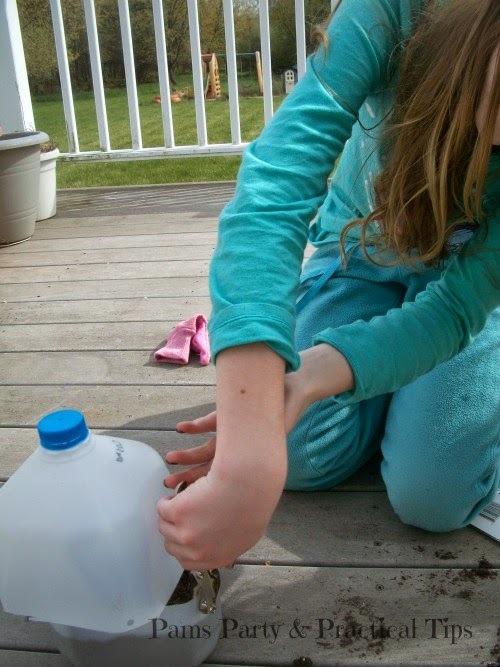 Using a bag of potting soil, we filled each jug with 2-3 inches of dirt. 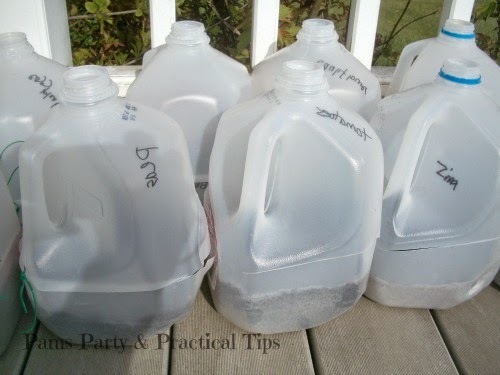 There are a couple of ways to seal the jugs. One way is with duct tape. Since we didn't really have much tape on hand, and a lot of jugs to seal, we tied the jugs shut. Kara is using a hold punch on a jug in this picture. You will need to mark you containers in some way. A regular sharpie will most likely fade in the sun and rain. We tried as an experiment to write on the inside. We also wrote the name several other places on the jug. Another way that we can tell flowers from vegetables, was by leaving the rings on the milk jug. Kara planted the flowers and all of her jugs have a ring on them. 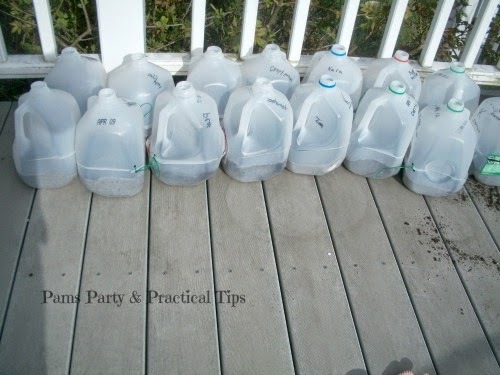 Leave the jugs outside with the lids off. Place them in an area where they will get several hours of sun. Our deck faces the south and is the perfect location. We will see if this works! Wonderful Idea!! I am a new follower!